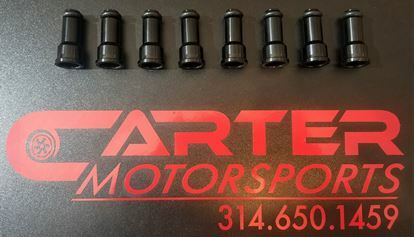 LS3/LS7 short style Bosch 210/2200cc injectors with Denso connectors. These sets are flow matched within 1% and we have used them in many high powered e85/98 and gas combos. 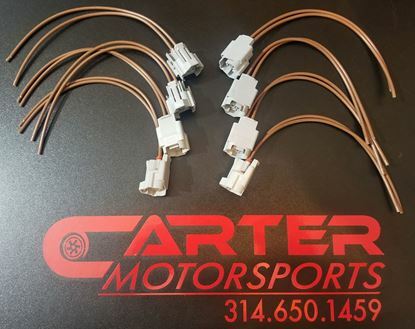 These are the same injectors that we currently use in our 1500+ HP Street driven Z06. These injectors are extremely versatile for the fact they tune so well. We have them in cars that make 700rwhp all the way up to cars making over 1500rwhp and everything in between. Injectors are short height with 14mm o rings. If you need them in tall height we also offer the billet top adapters to achieve 60mm heaight. 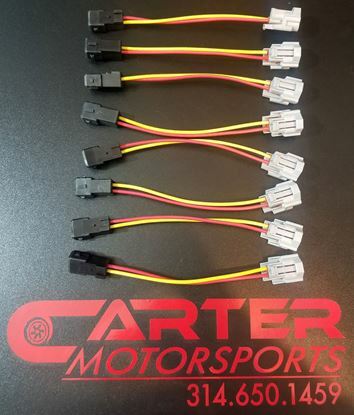 We also have pigtails or plug and play adapters to complete your install. You will not be disappointed with these injectors and the money you will save with them!